The World Cup of Hockey 2016 is guaranteed to be in a class of its own, and such, introduces a few unique twists to the upcoming NHL season. For one, the international tournament means hockey starts for some of the most talented NHL players in September rather than October. Another twist, is the addition of two specialty teams to square off with six competing nations. Eight countries have come together to represent Team Europe, while Team North America is comprised of Canadian and American players 23 years old and younger. How Team North America fares will be a subject of intrigue. This team features high-end skill, speed and talent from many teams in the NHL including team captain Connor McDavid, Johnny Gaudreau, Aaron Ekblad and Toronto Maple Leafs first overall pick Auston Matthews. Being a team with a lot of young and hungry players, Team North America has sparked a ton of interest from players representing other countries, including Team Canada. 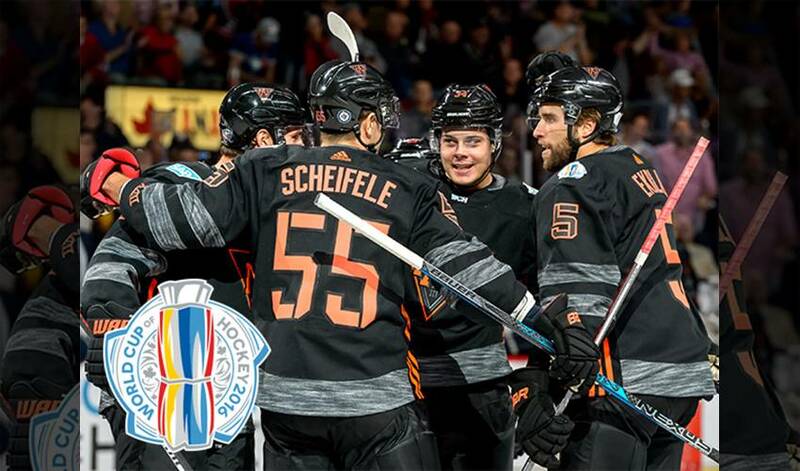 Team North America had an impressive pre-tournament game win shutting out Team Europe 4-0. The young lads did not appear fearful in displaying their immense skill level; especially their speed which seemed to overwhelm Team Europe at times. One player in particular on Team Canada who is especially looking forward to seeing what Team North America can bring to the table is the recently named Captain of the St. Louis Blues, Alex Pietrangelo. "I think it's a great way to market the young guys," Pietrangelo states. "Most of those guys are playing top minutes on their own team. They are going to be fun to watch and for me tough to play against." Not surprisingly, as a younger team with not as much NHL experience as other players representing different nations, the underdog label has surfaced for Team North America. However, they will not be taken lightly at all throughout this tournament. Dallas Stars forward Tyler Seguin missed eligibility for Team North America by just one year and was playing for Team Canada in this tournament before being sidelined with an injury. He truly believes that the young crop of talent should not, and will not be, taken for granted. "They are going to try and upset everyone they can," Seguin says. "They are a fast team and they can score. You are going to have to take them seriously." It is safe to say that Team North America will be of key interest to many throughout the tournament. Team North America are set to play their first round-robin tournament game against Team Finland on Sunday, September 18. You can catch the action on ESPN2, SN, and TVAS.